Encoders UK are a Tamagawa Seiki distributor based in the UK offering worldwide postage on all Tamagawa Encoders like our range of Tamagawa incremental and absolute encoders. All versions of our Tamagawa Encoders are available in blind hollow, full thru bore from 4mm – 60mm. All line counts available. Full range of obsolete versions (ie. 11 micro amp – sinewave). Our range of Tamagawa Encoders can offer ingress protection up to IP68 for extreme harsh conditions including ATEX approved for oil rigs and shipping. Also stainless steel for food products. BESPOKE sealing available to combat specific chemicals etc. Emergency build on Tamagawa Encoders is available for non stock items, possible repair on immediate service where possible. AC servo motors for Tamagawa Encoders are tested and refitted on axis motors, spindle motors and encoders high speed non-contact tested on site. Motor tachos and overspeed switching available. Magnetic versions including MAGRES. Wire draw Tamagawa encoders up to 35 metres available for distribution centres on short deliveries. Popular products – 5170 n11, ts5017 n56, au6616n1021e5, ohe 25k 6, ts5667 n411 sa108 17 33, smartsyn, ts5270 n3, 6590 608, ts5850 n60, ts2014n181e32, ts2651n131e78, ts2651n141e78, ts5214, ts1605 n203, ts3727n66e8, ts5307n54, 48 2000, ts5217n510 to name just a few. 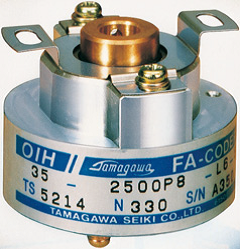 Tamagawa Rotary Encoders, at present, have been widely used for factory automations, measurements, office automation devices, medical equipment, aviation and universal fields. Our Tamagawa Encoders range includes single turn rotary encoders and multi turn rotary encoders. If you are unsure of your Tamagawa Rotary Encoders requirements please call our friendly and experienced customer support team on 0121 378 5577 or alternatively fill in the Contact Form and one of our team will get back to you to talk about your Tamagawa Rotary Encoders requirements. For Tamagawa Optical Encoders Encoders UK have extensive knowledge in Tamagawa Optical Encoders. 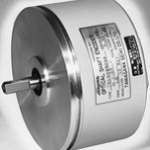 All our Tamagawa Optical Encoders are used for demanding and harsh industrial motion control applications. Tamagawa Optical Encoders are available in solid and hollow bore versions. If you are unsure of your Tamagawa Optical Encoders requirements please call our friendly and experienced customer support team on 0121 378 5577 or alternatively fill in the Contact Form and one of our team will get back to you. 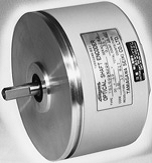 Tamagawa Incremental Encoders generate pulses in a frequency proportional to the rotational speed. For Tamagawa Incremental Encoders you have come to the right place as Encoders UK can assist you with all Tamagawa Incremental Encoders. If you are unsure of your Tamagawa Incremental Encoders requirements please call our friendly and experienced customer support team on 0121 378 5577 or alternatively fill in the Contact Form and one of our team will get back to you to talk about your Tamagawa Incremental Encoders requirements. Tamagawa Absolute encoders output the absolute value of rotation angles. Tamagawa Absolute Encoders are used in conveyor technology, robotics and in conjunction with precision-control the rotary motion of a wide range of applications. Encoders UK are well experienced with Tamagawa Absolute Encoders both single turn Tamagawa Absolute Encoders and multi turn Tamagawa Absolute Encoders. 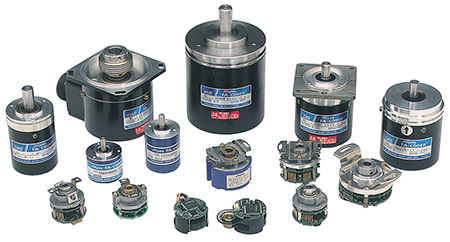 All our Tamagawa Absolute Encoders are available in hollow shaft and solid shaft versions. If you are unsure of your Tamagawa Absolute Encoders requirements please call our friendly and experienced customer support team on 0121 378 5577 or alternatively fill in the Contact Form and one of our team will get back to you. If you are unsure of your Tamagawa Shaft Encoders requirements please call our friendly and experienced customer support team on 0121 378 5577 or alternatively fill in the Contact Form and one of our team will get back to you. If you have a Tamagawa Encoder that is beyond repair, don’t worry as we can offer a high quality alternative as a permanent solution. With great customer service and fast delivery Encoders UK can get your machine working swiftly to minimise downtime of production.